[PDF] Change Anything: The New Science of Personal Success | Free eBooks Download - EBOOKEE! Description: A stunning new approach to how individuals can not only change their lives for the better in the workplace, but also their lives away from the office, including (but not limited to) finding ways to improve one's working relationship with others, one's overall health, outlook on life, and so on. For example, why is it that 95% of all diet attempts fail? Why do New Year's Resolutions last no more than a few days? Why can't people with good intentions seem to make consistent and positive strides in the way they want to improve their careers, financial fitness, physical fitness, and so on? Based upon the latest research in a number of psychological and medical fields, the authors of CHANGE ANYTHING will show that traditional will-power is not necessarily the answer to these strivings, that people are affected in their behaviors by far more subtle influences. CHANGE ANYTHING shows how individuals can come to understand these powerful and influential forces, and how to put these forces to work in a positive manner that brings real and meaningful results. The authors present an array of everyday examples that will change and truly empower you to reexamine the way you go about your business and life. 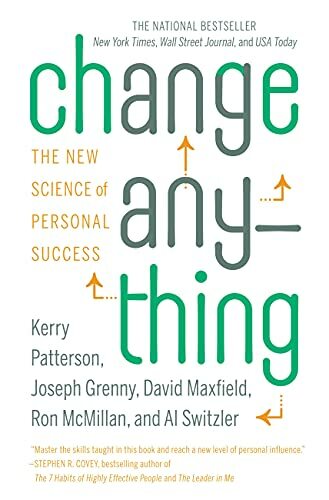 No comments for "[PDF] Change Anything: The New Science of Personal Success".